The Bunn AXIOM-DV-TC airpot coffee brewer is designed like a decanter brewer, dispensing coffee into a thermal server, so it does not have to be served immediately. It has a programmable brew level and tank temperature. With the energy-saving mode, the unit lowers the tank temperature during idle periods. This brewer automatically adjusts for varying water pressure and adjusts brew time in high-lime areas to maintain a constant pot level. 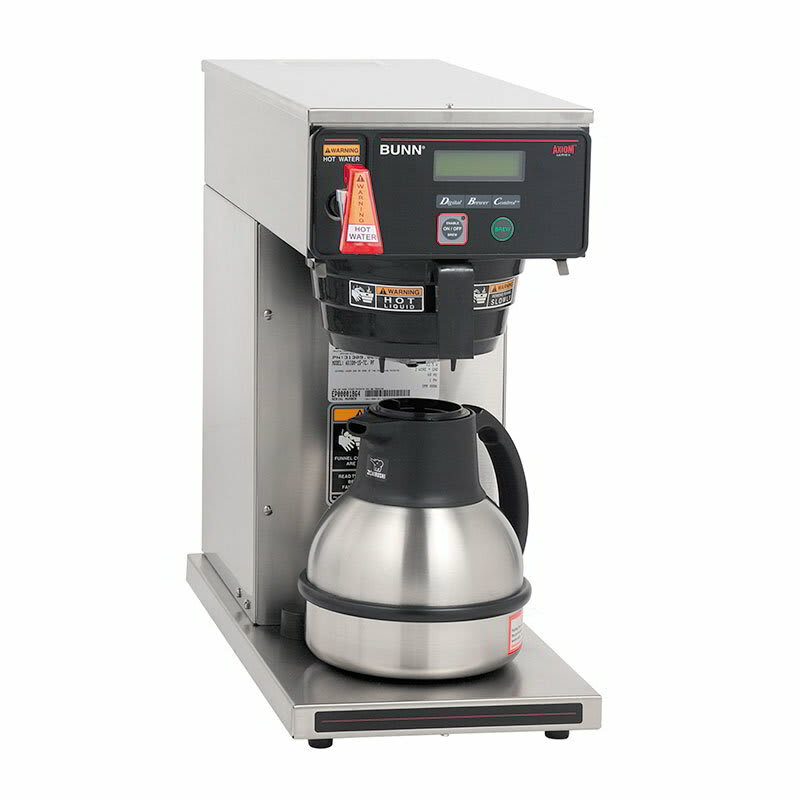 To ease servicing for the Bunn AXIOM-DV-TC thermal carafe coffee brewer, it has a built-in tank drain and electronic diagnostics. An 8.5-inch-tall carafe fits under the brewing funnel, which controls coffee as it flows out to prevent burns. For various applications, this unit has dual voltage. You can read more about airpot brewers and thermal servers in the article on coffee makers.